Oh my goodness. 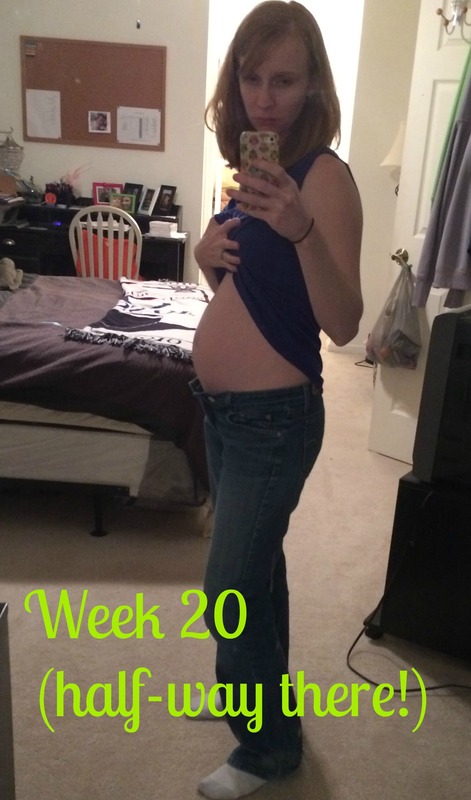 I just finished my second trimester! It’s hard to say for sure, but I feel like it’s going so much faster this time! Looking at the size of my belly in these photos amazes me. This little person inside me is growing by leaps and bounds on a daily basis. I love being a part of giving life to a person! It’s so humbling. 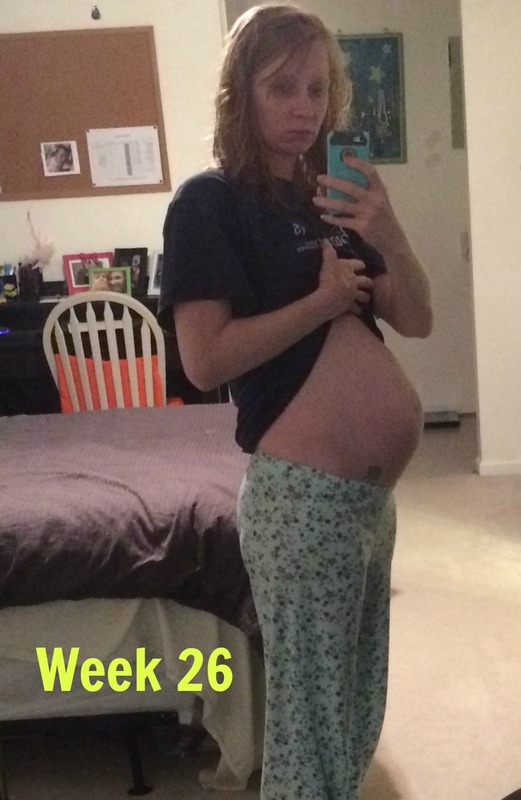 I’m going to share a week-by-week wrap-up of my second trimester with you. 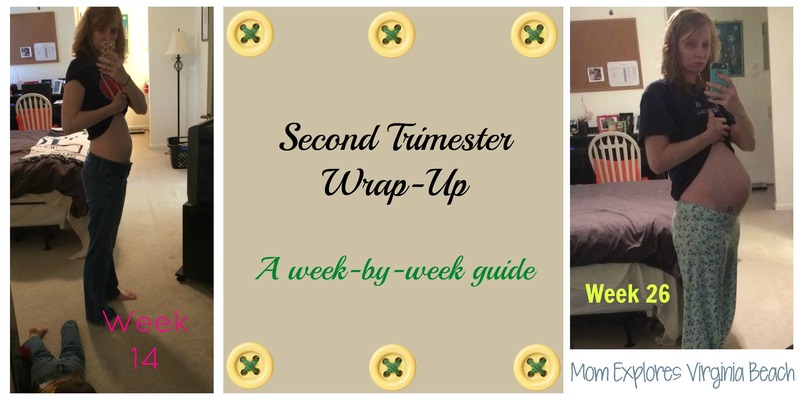 Feel free to take a look at how the first trimester went here. And the second trimester begins! Don’t mind the little feet in this one, Jonas didn’t feel like moving for the picture. Starting to have a bit of heartburn this week. I suppose this baby will be born with quite a bit of hair like his brother! This week I (finally) got a pass to the Virginia Beach Recreation Centers and started working out more. This is something I was too scared to do when I was pregnant with Jonas, and wanted to make sure I did a better job of this time around! Jonas LOVES swimming in the pool, which is a great low-impact exercise for me as well. This was the week I felt like I was starting to look pregnant in clothes. 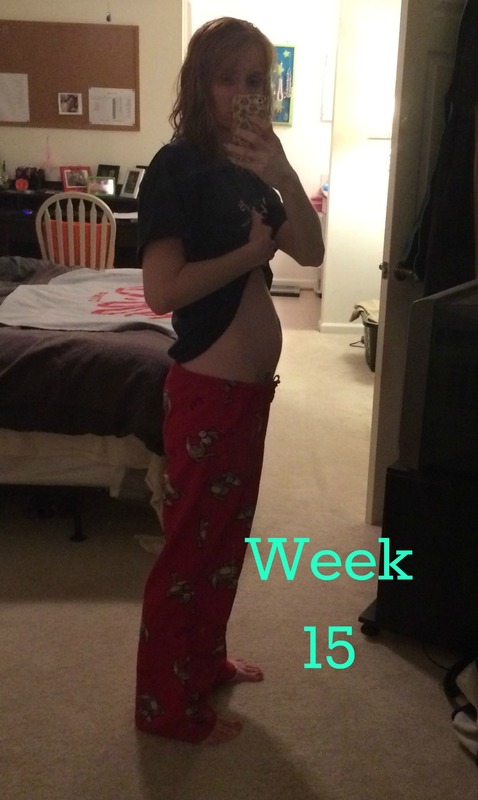 With my first pregnancy I don’t remember exactly when it started, but around the 20-week mark. Earlier this time for sure! This week I started interviewing doulas. Read up here on how that went, and read here why I think you should consider hiring a doula as well. This week I’m starting to have regular nosebleeds (read: daily). The doctor says this is a common pregnancy side effect, especially for women with allergies. I did not have this issue with baby #1. This week I started getting hungry! There was a definite ramp up in my appetite, especially for greasy french fries. Found out the gender this week, see post here. I’m experiencing some aches and growing pains this week. Feeling the stretch of the little guy as he takes over the space where my organs used to reside. 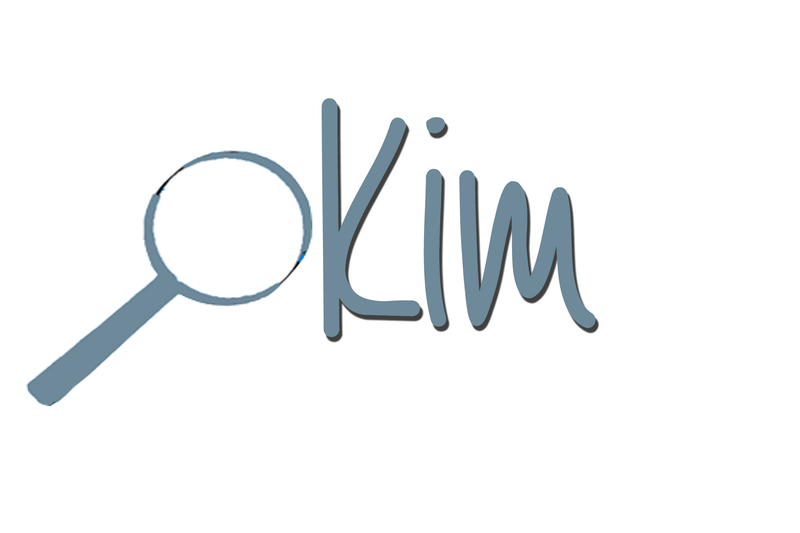 This week I started experiencing some edema, or swelling. Drinking more water and sitting down and putting my feet up helped, but I didn’t have swelling with Jonas either. 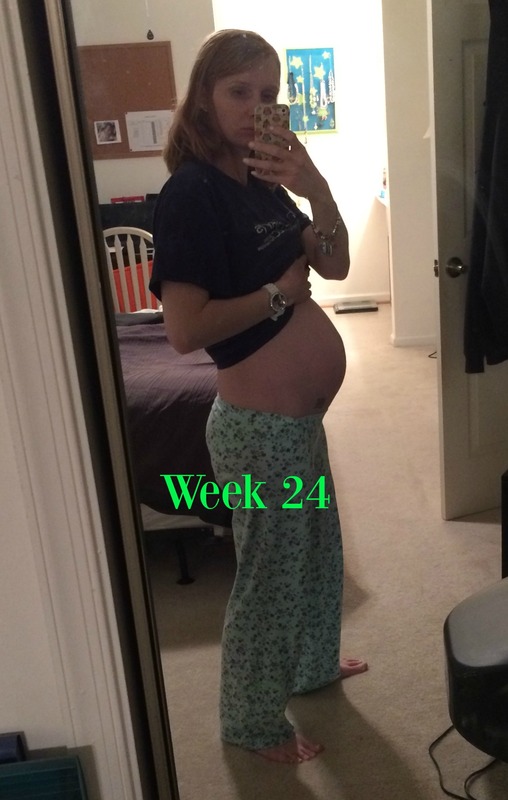 This week I am having some noticeable Braxton Hicks contractions. They’re not painful, but can be annoying and uncomfortable. Starting to feel pretty big. I had my first comment from a stranger about being pregnant this week! I’m definitely seeing some relief from the nosebleeds by now; they’re few and far between at this point. The “baby-brain” is in full swing, however. Starting to get a bit clumsy. Apparently, this is a typical symptom of pregnancy. I don’t remember having this one before, but that could be attributed to baby brain! 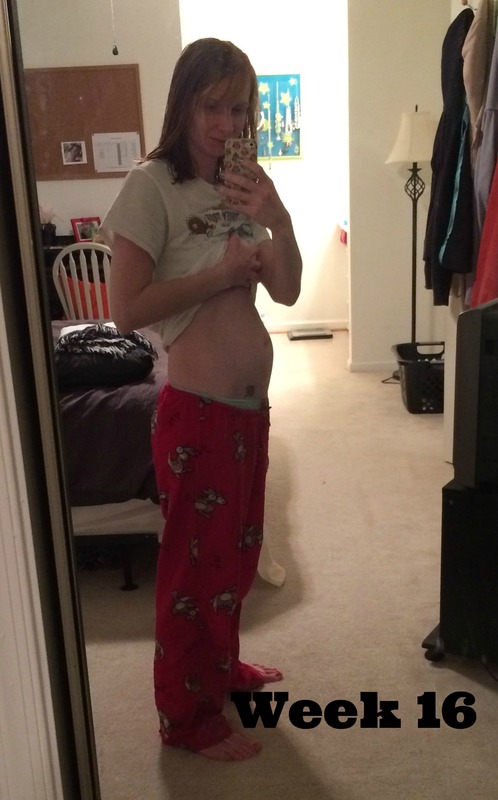 And now comes the homestretch: the third and final trimester! 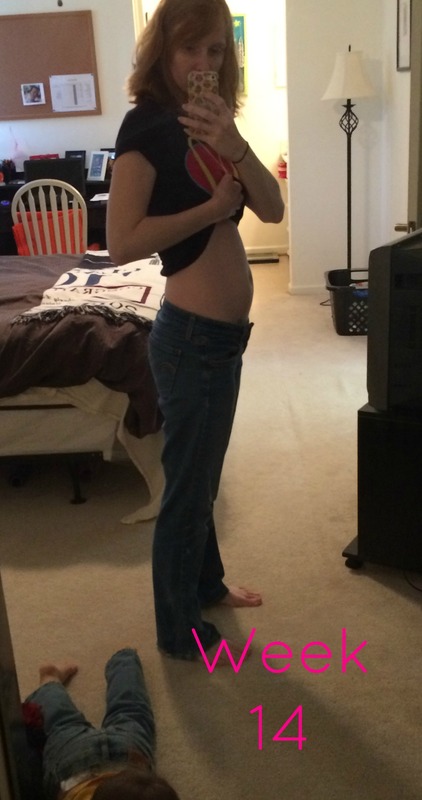 Overall, being pregnant this time still feels different! Don’t get me wrong, there are plenty of similarities, but my body is sprouting some symptoms I definitely didn’t have last time. And I haven’t had a few I did before. People tend to think of the second trimester as the best, because morning sickness usually slows down and you’re not too big to feel uncomfortable. Since this will likely be my last pregnancy, I’m trying to just savor every moment and memory. Thanks for sharing the journey with us! Oh my gosh, you look amazing! I’m so excited for you. Remember, all the icky symptoms are going to be worth it! I’ve had pregnancy brain for like a month and I’m going to be 19 weeks tomorrow. I can’t imagine it getting any worse. 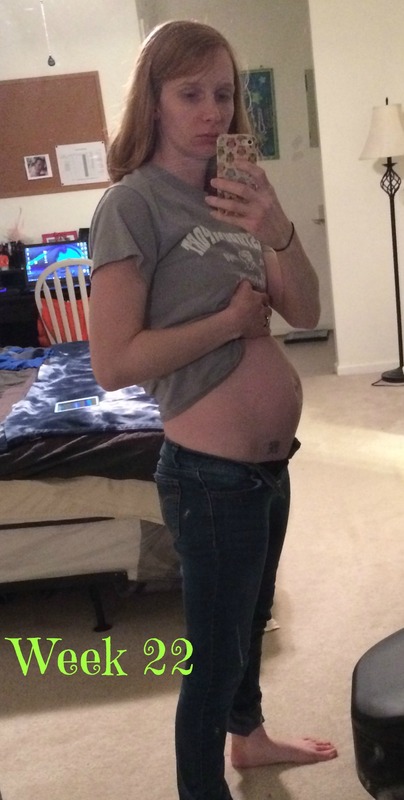 I can also relate to this pregnancy being different/tougher than the last. But you are so close! Love reading your updates! Keep it up momma! Thanks for the encouragement, Erin! Pregnancy brain is awful! But you are right about this all being temporary, which is why I try to keep it positive as often as possible. Easier said than done, some days! I loved your 12 pregnancy hacks post! !